Being at a music festival is like walking in large groups in the countryside. It is not the way to do it. Well before the Glastonbury Music Festival the town was on the bucket lists of the educated and dreamy. The average spend of those who attend the Festival is almost £300 per person. People in the town no longer complain about unwanted hippies. 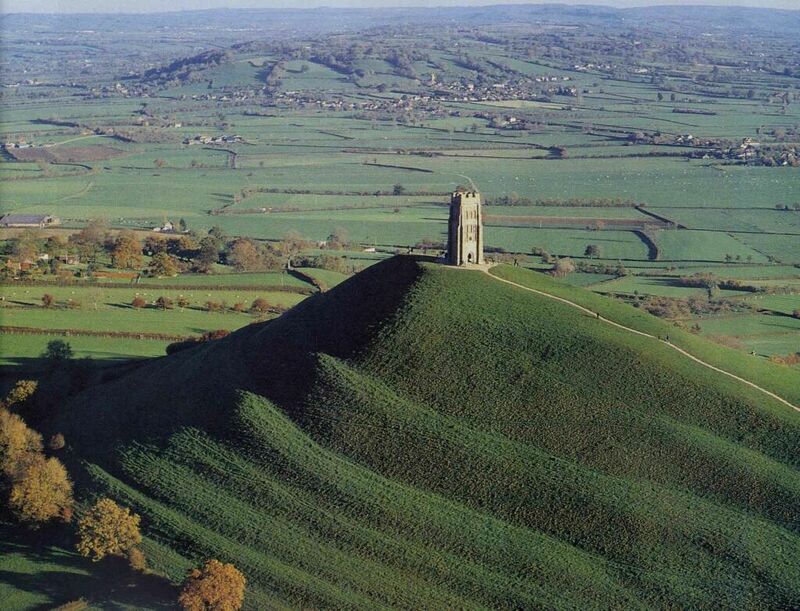 I visited Glastonbury after reading the classic British mystic epic novel, A Glastonbury Romance by John Cowper Powys. This modern King Arthur allegory is set in England but the book has to be described as British because of the roots of the author and because English mysticism is second hand, pinched from powerful Welsh romance. Glastonbury existed in the Neolithic Age, 4,500 BC. 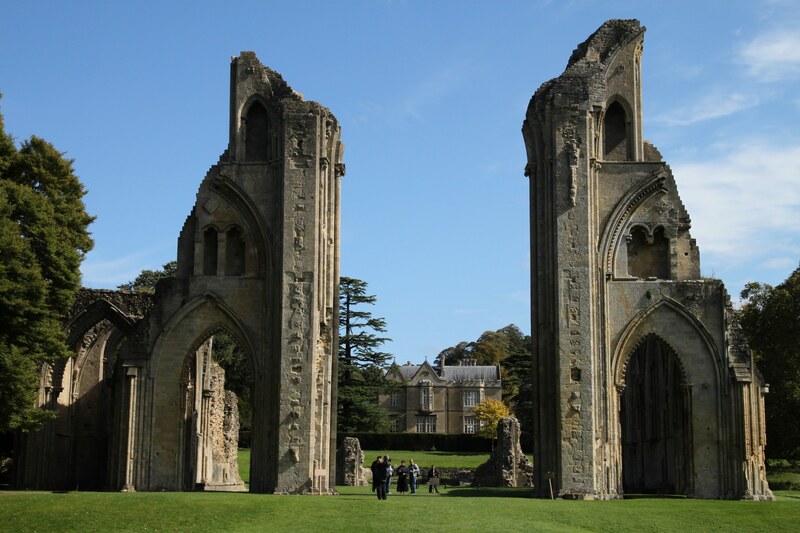 The Abbey was built in 700 AD and became a South West powerhouse that enabled Glastonbury to become a mediaeval centre of commerce. The town experienced economic decline in the 19th Century. The impact of the railways and the drainage problems of Glastonbury Canal were key factors. This mixture of bold ambition and everyday fumbling is somehow very English. It evokes gentle Ealing comedies. The Abbey ruins are a splendid sight. My well-worn copy of the Powys novel has a psychedelic painting of the Abbey on its cover. The publishers understood the market. Glastonbury attracts pagans, historians and new age dreamers. Glastonbury Tor is a hill and not the tower on top of the hill. The Tor stands above the Somerset Levels. It is disfigured by an atrocity of a path but that can be ignored. I carried my infant daughter up the grassy slopes. The pathless climb is not difficult. The roofless St Michaels Tower is in the middle of the summit, the remains of a 15th Century church that was destroyed by an earthquake. More than a few believe that St Michael’s Church was destroyed by Gywn ap Nudd. Gwyn lived on the Tor and may still be there. He is Lord Of The Otherworld and King of The Fairies. Earthquakes are rare in Britain, so it could have been an early example of Nimbi resistance. I have no idea what those on drugs believe. The rich green slopes of the hill have beautiful distinctive layers. These have been caused by land slippage. But in 1927 Katherine Emma Maltwood overdosed on the myth of King Arthur and Glastonbury. She claimed that the layers of the Tor were an effigy of the Zodiac. This mumbo jumbo is popular amongst tourists. None of this, though, is equal to the Holy Grail legend. This is what happened. Jesus had a cousin called Joseph of Arimathea. He came to Somerset. He buried the blood of Christ at the foot of the Tor and by the entrance to the underworld. This is now in Chilkwell Street, house prices not too expensive. Ignored by Gwyn ap Nudd the blood is still there, flowing through the water of Chalice Well. Those who drink the water will have eternal life. Eternity requires a hobby and interests. Immortals can visit the Chalice Well Shop and buy CDs and books. Posted in A Glastonbury Romance, Chalice Well, Ealing cinema, Glastonbury, Glastonbury Abbey, Glastonbury Canal, Glastonbury Music Festival, Glastonbury Tor, Gwyn ap Nudd, Holy Grail, John Cowper Powys, Joseph of Arimathea, King Arthur, Nimbis and tagged Britain, history, music, tourism on May 16, 2015 by Howard Jackson.